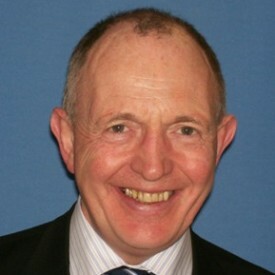 Mr Jon Harrison is a Consultant Colorectal Surgeon and the Trust's Lead for Cancer Services. His interests include endoscopy and laparoscopic surgery. I trained in medicine at Leeds, receiving my MBChB in 1979. I then spent a number of years in Nottingham, training in various surgical disciplines, including a three-year period in research, culminating in my doctorate in 1990. Following this, I was appointed as Senior Registrar in Birmingham, with posts mainly at the Queen Elizabeth Hospital, punctuated by an excellent year in Stoke. I was then appointed to my first consultant post in Scarborough in 1994, moving to Harrogate in 2000. I have very broad training in general surgery, with an interest in laparoscopic and colorectal surgery. I also have an abiding interest in diagnostic and therapeutic endoscopy. I am the Trust Lead for Cancer Services and the Clinical Director of the Harrogate, Leeds and York Bowel Cancer Screening Centre. I am also a trained Mentor for doctors in the Trust. I enjoy spending my spare time with my family. I also enjoy playing the saxophone and have an interest in information technology.